Fees for professional resume portfolios vary depending upon individual needs, background, and experience. At Chesapeake Career Management Services, we utizlize a highly individualized, strategic approach to resume writing. Our services are not for everyone, and if we can’t provide what you’re looking for we’ll recommend you to one of our trusted career colleagues who can. When working with a Professional Resume Writer you may want to consider getting multiple services and/or documents such as a cover letter, LinkedIn profile, Executive Bio, Executive Profile, or even career exploration coaching, and job search coaching. 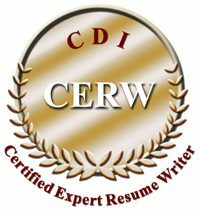 Due to its highly customized nature, and labor intensive requirements, professional resume writers may charge a few hundred ($400-$800) to upwards of $3000 depending upon your career needs and the types and number of documents you require. Of course, if you’re a gambling person and want to risk your entire career and job search with a cheaper service, please go elsewhere.